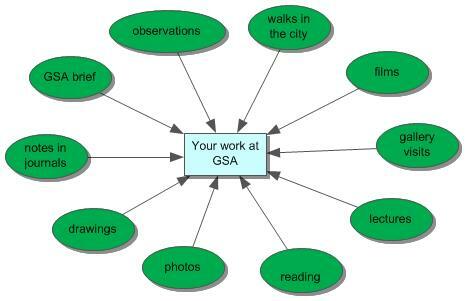 During your studies at GSA, the development of your work will be influenced through your research and experience. You will gather together your research and experience in notebooks, sketchbooks, journals, blogs, folders, lists, and so on. 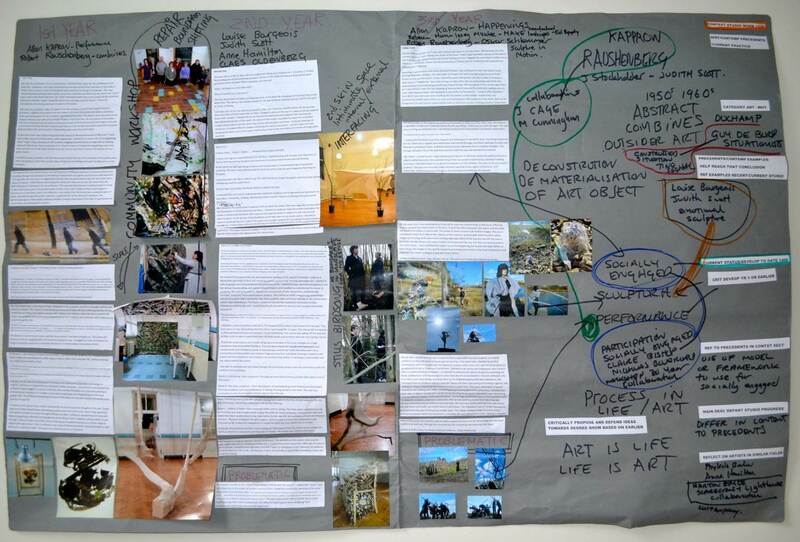 You should document why you brought certain sources together in order to better explain to your tutors your understanding of the research you undertake.